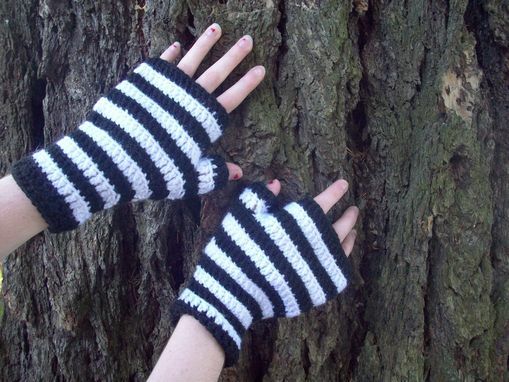 I'm smitten with these fingerless mittens. They're crocheted from upcycled acrylic yarn in a classic black and white stripe pattern. I rescued the yarn from a thrift store. They would be perfect to wear while waiting for the bus, bike commuting, in particularly chilly offices, or just for fun. 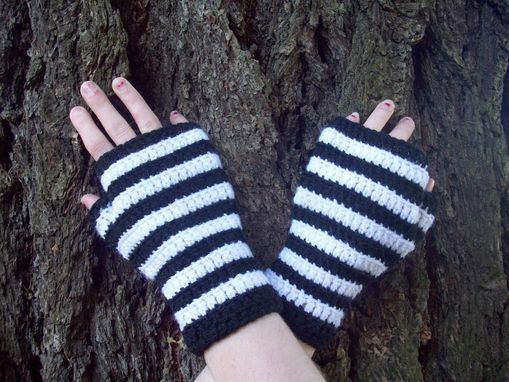 This listing is for the fingerless mittens pictured. If you would like a different size or color please choose from the list. Black is always the first color, and you choose the second.